"Music has a long tradition with the Native American People"
We are happy to be able to offer Music CD's by some of the most notable American Indian Recording Artists. Debuted at #10 on New Age Voice magazine’s Airwares Top 100. 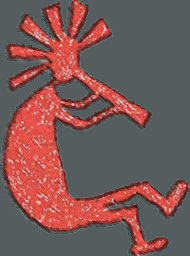 Features Native American Flutes accented by acoustic guitars, pianos, keyboards, strings, and hand drums. The fifth release from five-time NAMMY nominee Golana'finds this innovative master of the American Indian flute stretching the boundaries of his mediative, nature inspired music. A beautiful blend of acoustic instrumentals with Native American flute sounds. A refreshing mixture of pop influenced Native music, rather than Native influenced pop music. The fourth album from the widely acclaimed Golana' features his own unique style of Native American flute music accompanied by subtle touches of acoustic guitar, piano, cello, violin, harp and hand drum. (Cherokee) With their soaring vocal harmonies and unique blend of pop-gospel and Native American influences, Walela proves once again the ability of these exceptional performers to reach into the depth of their musical heritage and create an outstanding sonic experience. An exceptional recording. (Cherokee) Walela is the Cherokee word for “hummingbird” and the symbol of inspiration for this family of singers. Compelling and inspirational, this debut eloquently brings the energy and spirit of their Cherokee ancestors. The exquisite beauty of Walela distinguishes this spirited album as an unprecedented recording of contemporary Native American music. (Cherokee) An inspirational musical journey of the Spirit. Recorded live at the Dallas Theater Center. Benefiting the Sovereign Nations Preservation Project. Cherokee National Youth (Cherokee) This debut album from the choir won top honors as "Best Gospel/Christian Recording" at the 2002 Native American Music Awards. With the help of superstar vocalist Rita Coolidge, the choir performs songs of inspiration, sung in the wonderously beautiful Cherokee language. A must-have! (Cherokee) The second album of beautiful music by the young ambassadors from the Cherokee Nation. Featuring internationally renowned singer/songwriter Gil Silverbird, the choir soars to new musical heights on gospel and patriotic selections delivered in Cherokee and English. A true delight for the ears! (Cherokee) This collection of love songs celebrates the powerful phases of love, and more importantly, songs that deal with the struggle to love one-self. Traditional Cherokee songs plus other love inspiring cuts with a touch of Southwest. (Cherokee) Rose’s soulful generosity is evident throughout Spirit of Silence. “I wanted to create a project that would honor the steps one takes along a spiritual path,” Rose shares. “Each of the songs embodies a step along that path.” Spirit of Silence lives up to its name with music that slowly draws you further into the heart’s deep core. This recording features 13 beautiful songs. (Aleut/Seminole) Like poetry from her heart...this superb collection of songs showcases her many award-winning talents. From blues to classical, these beautiful, absorbing melodies are soothing to the soul.